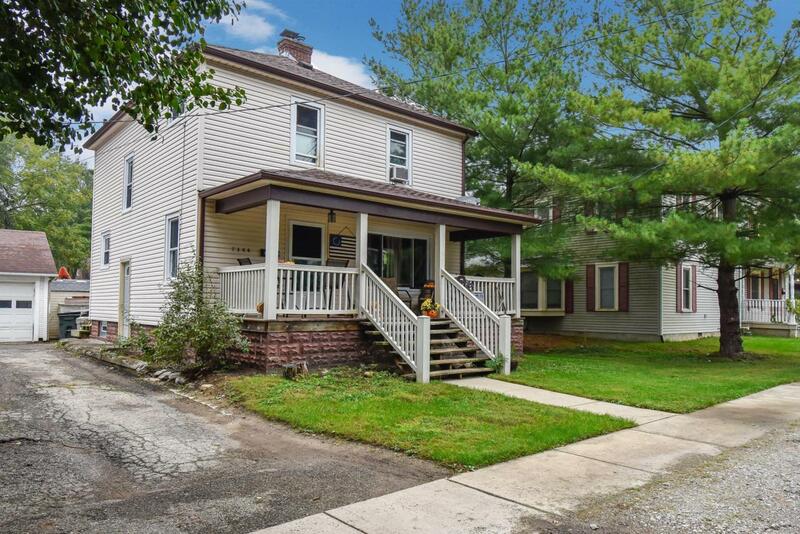 Located in quaint and historic old Reynoldsburg. 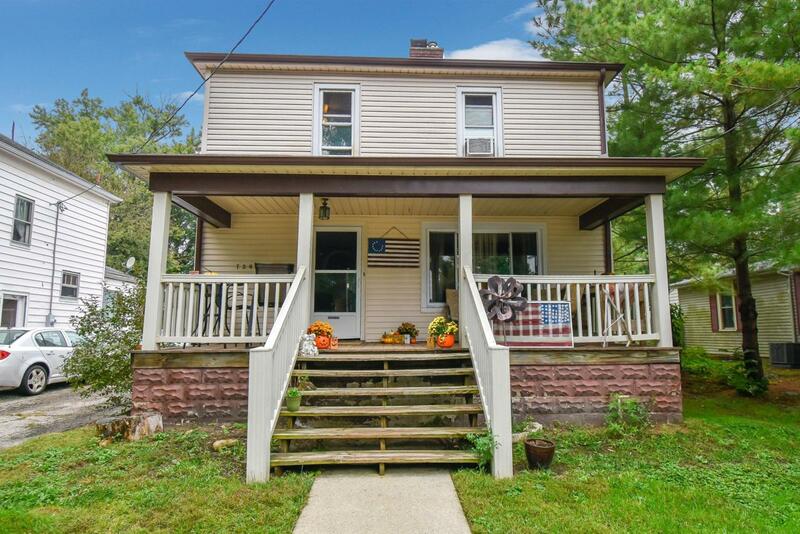 This attractive 2 story home greets you with a large front porch to relax on. 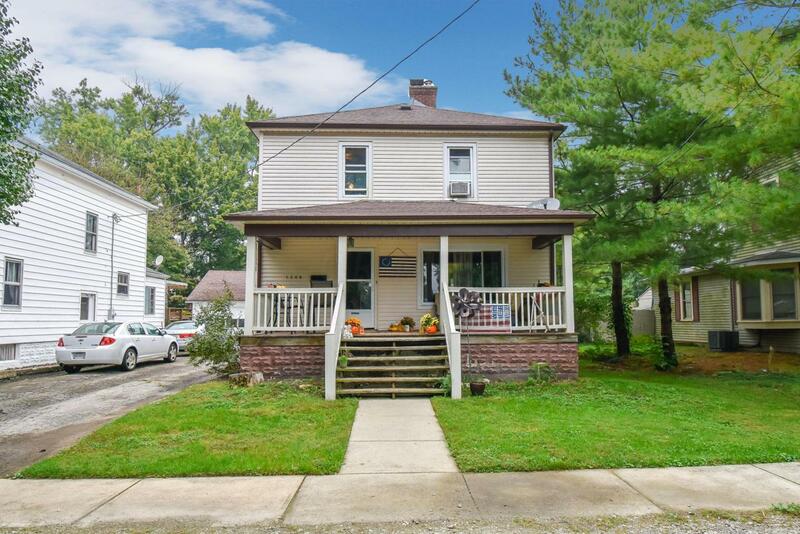 This fabulous home offers much of the original character from days gone by such as the vintage doors and hardware, hardwood flooring throughout. Living room features a decorative fireplace that leads to the formal dining room w double glass doors and hardwood. 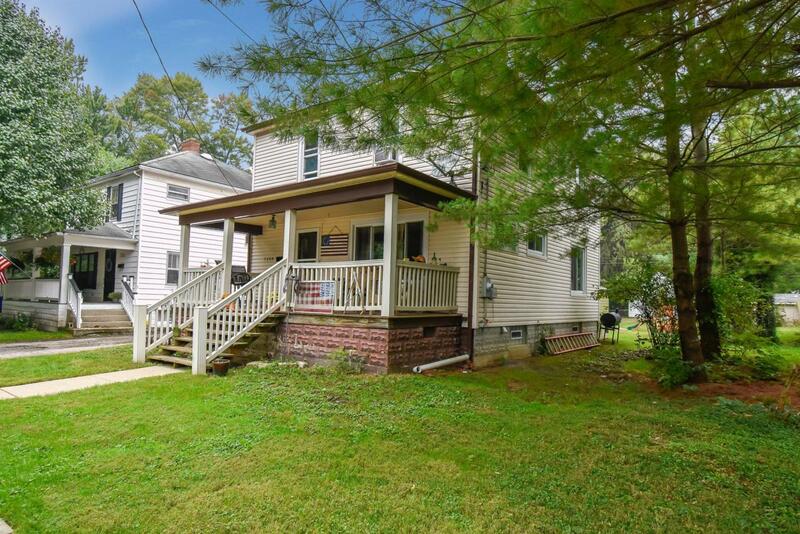 Recently updated bath and kitchen, roof/windows/furnace have been replaced within 12 years, newer vinyl siding. Ample space in the basement for storage, plus a one car shared garage. Back porch over looks the spacious backyard that backs to the alley. An easy walk to the shops on Main. Home is in solid condition. May need very light TLC however minor and mostly just paint. Priced to sell.